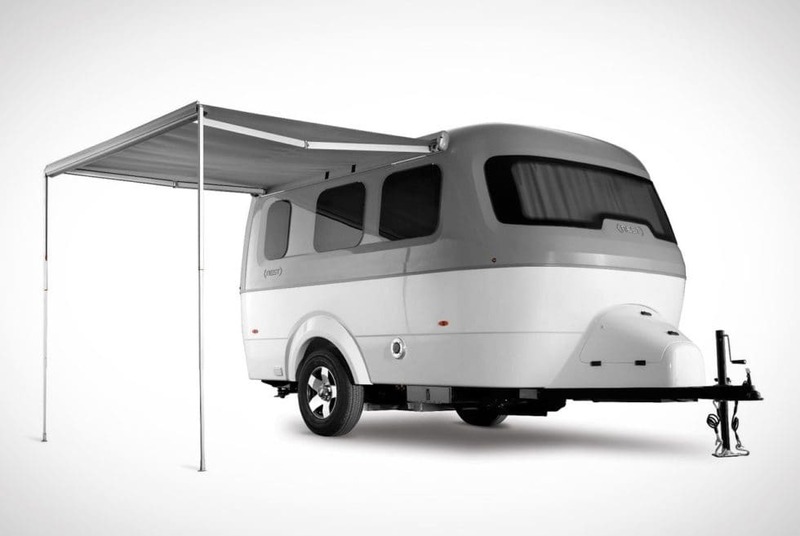 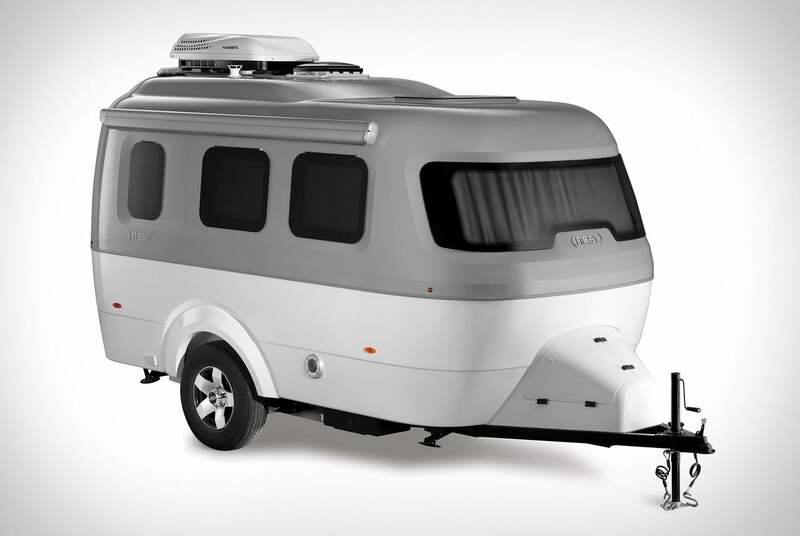 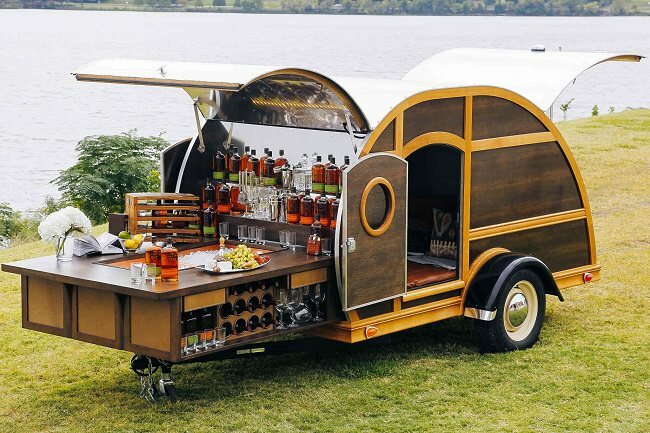 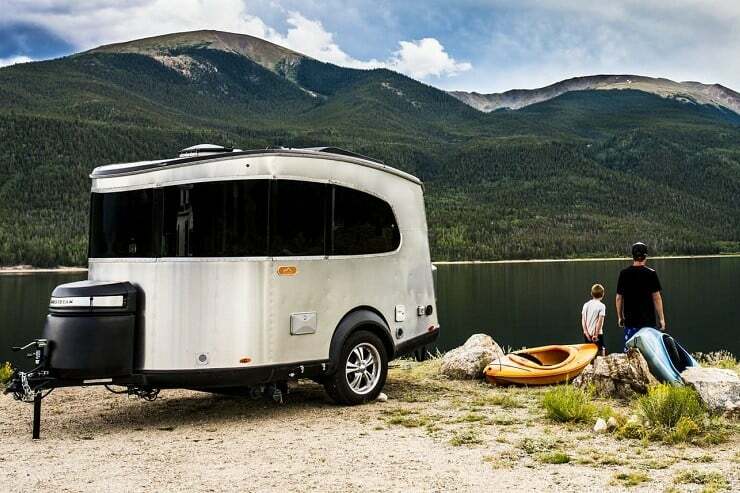 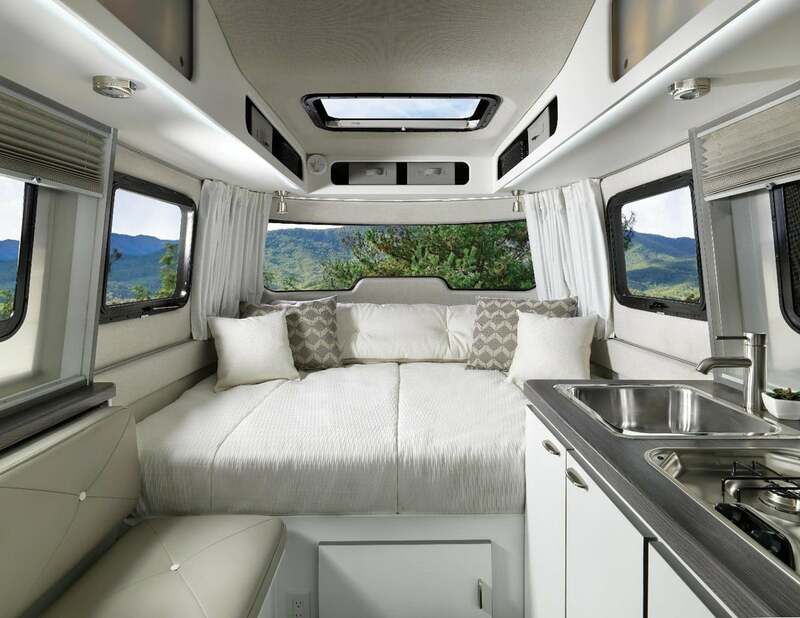 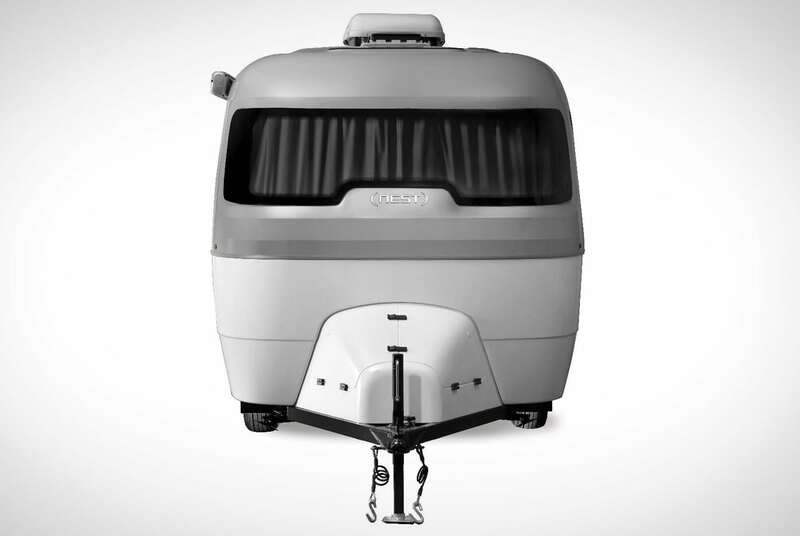 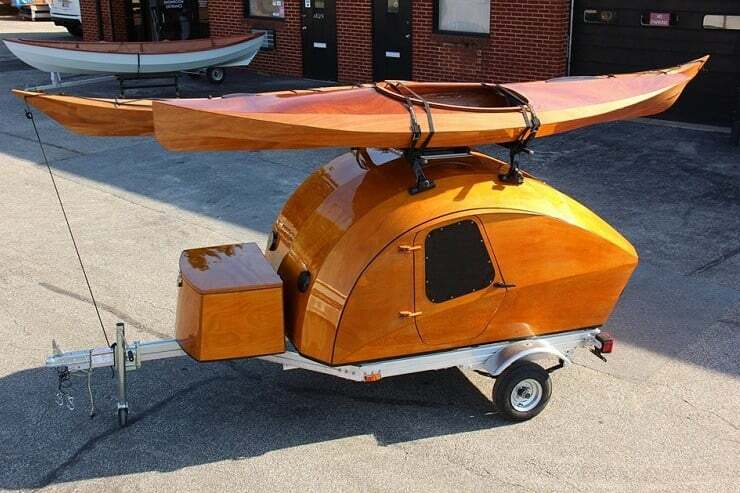 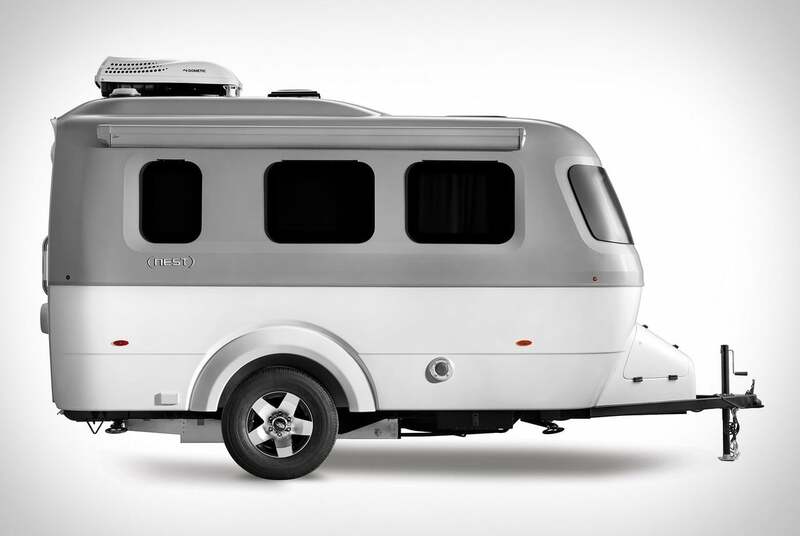 Catering to a younger generation of outdoor travelers, the new Airstream Nest Travel is a 16.6-ft trailer boasting a fresh design and offering a host of comforts into a compact, slick package. 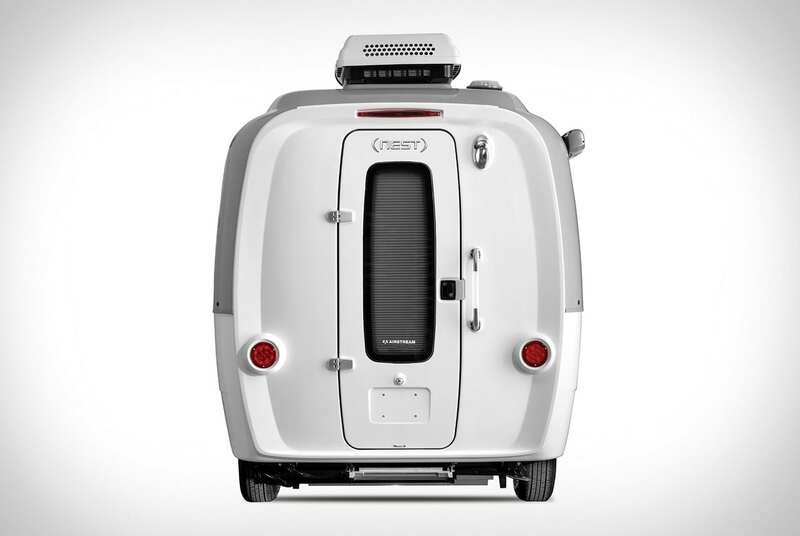 The Nest can carry up to 600 lb inside its two-tone fiberglass shell. 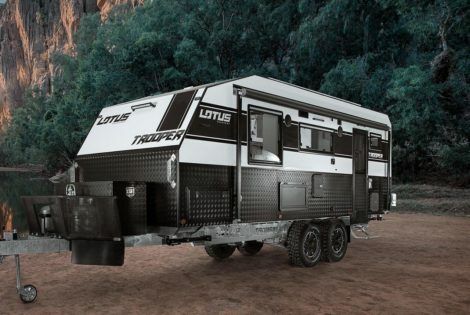 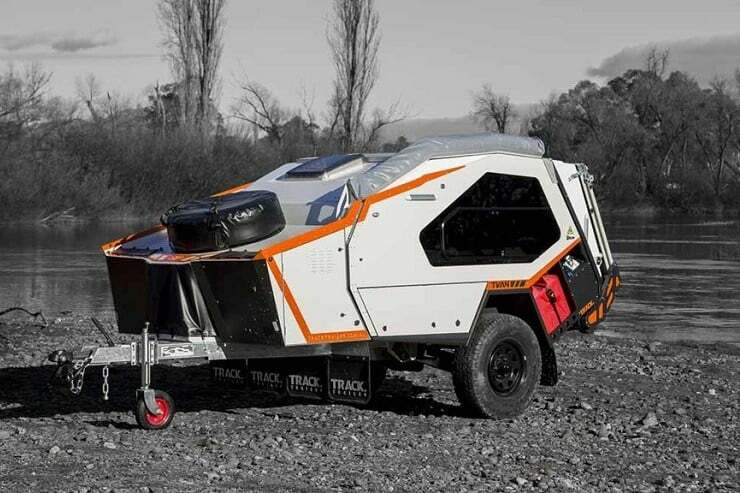 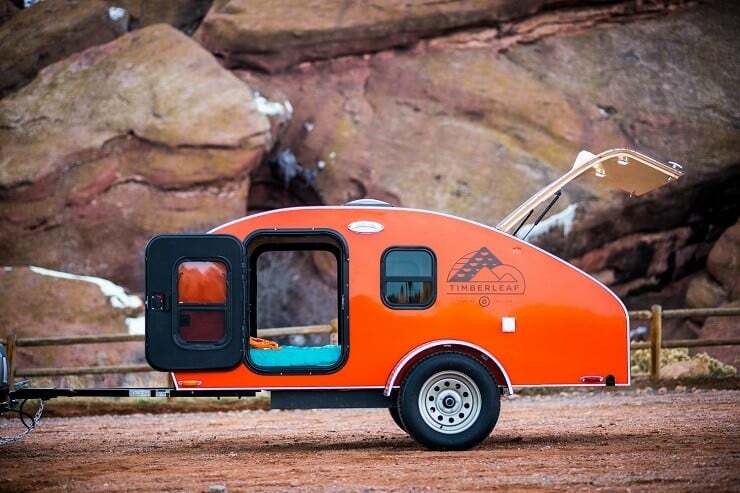 It rides on aluminum wheels with 16-in Goodyear Endurance tires and has a torsion suspension axle, standard brakes, LED taillights, and spare tire. 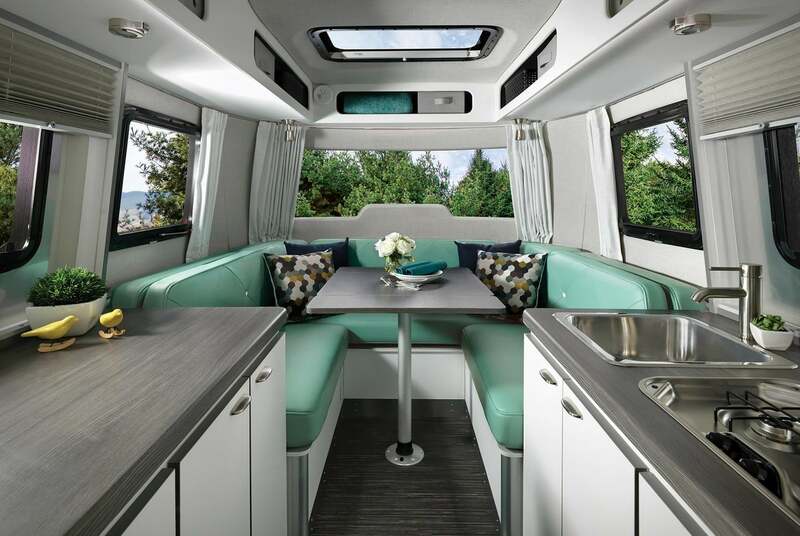 Entrance is done via a back door, while a total of six windows bring light into the two-person interior which is available in two-floor plans – one with a sofa-bed/dining area and a second with a fixed Tuft & Needle mattress and a small bench. 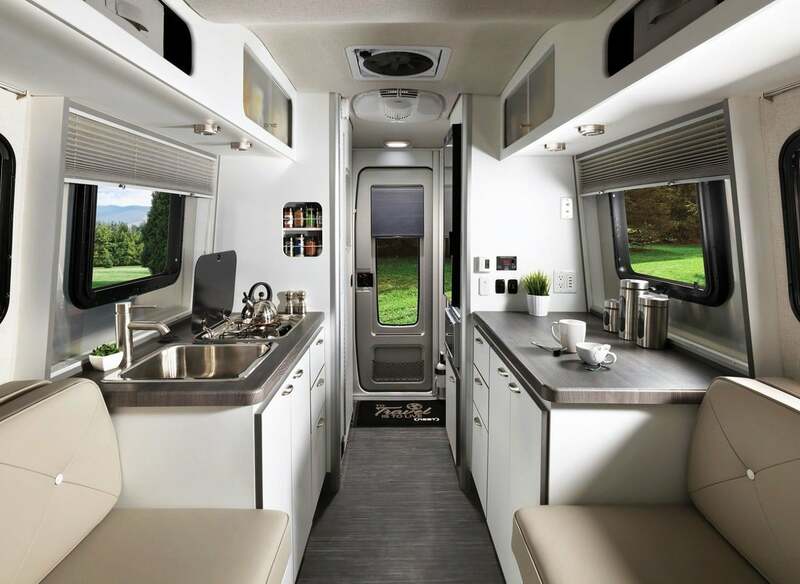 A small kitchen inside offers all the necessities, including a sink, gas dual-burner, large worktop, microwave, and 91L electric fridge. 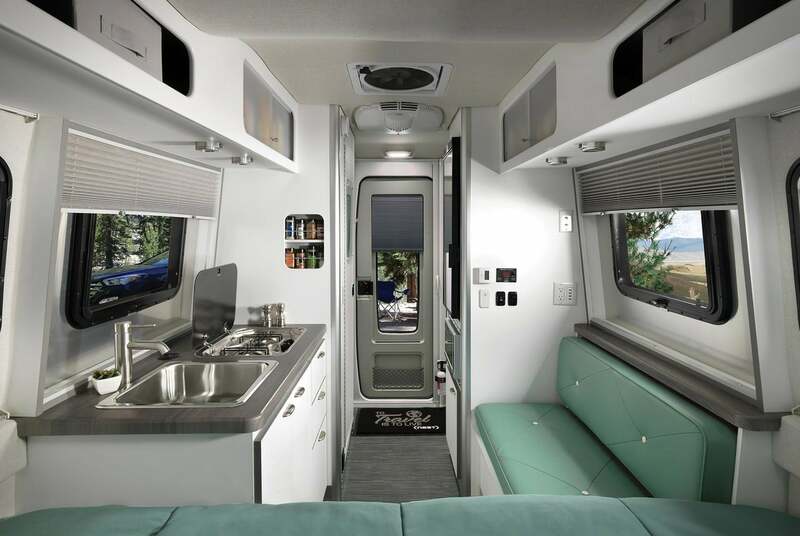 Next to the kitchen is a wet bath and the wardrobe is placed in the opposite corner. 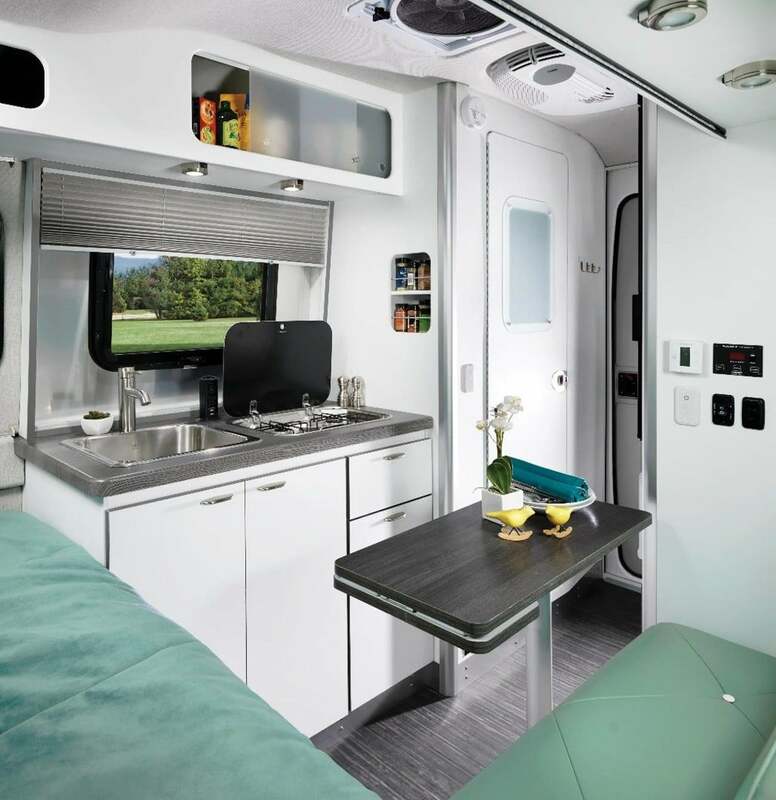 Other details include a 24-gal water tank, 30-gal gray water tank, two deep-cycle batteries, USB and 110-V outlets, AC, ducted furnace, hot water heater, powered patio awning with LEDs, outdoor shower, blackout shades and curtains, and more.